BellyBuds: One of my favorite Pregnancy Item! During this pregnancy, one item, that I would have never thought I needed, but absolutely love are the BellyBuds. 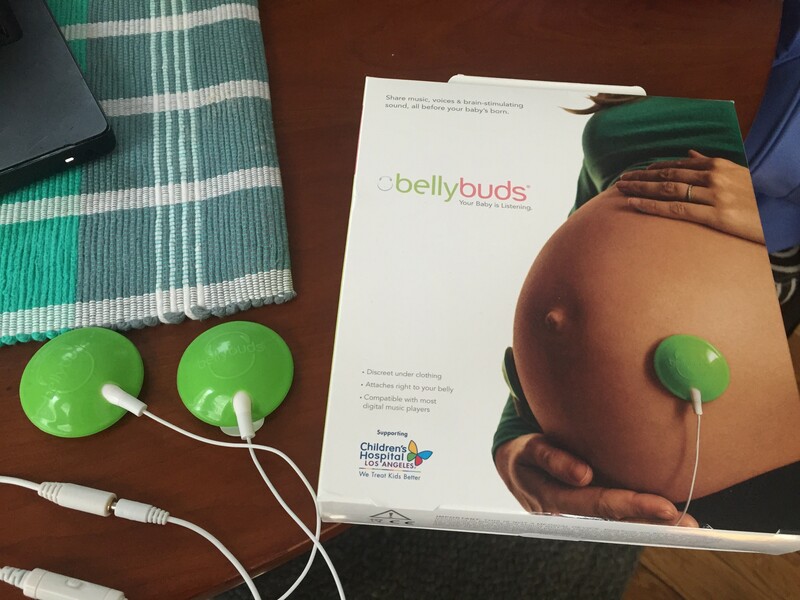 In the beginning of my pregnancy, I saw an advertisement for the BellyBuds and was very curious about them, and then around 20 something week I ended up receiving them as a gift. Your baby can start hearing around 20 weeks. BellyBuds are similar to head phones, but instead of putting them in your ears, you stick them to your belly, allowing your baby to hear. There is an area where you can plug in you own head phones as well. That way you and baby can listen at the same time. 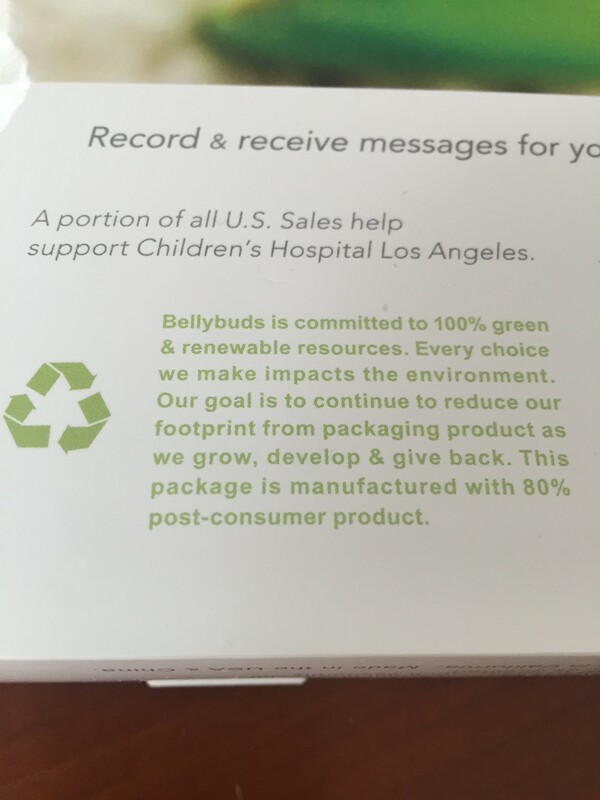 The Bellybuds also have a VoiceShare option, which allows you to record your voice or one of a loved one. That way your baby can hear your loved one’s voice. After birth, your baby’s eyes are not fully developed, so they will use their ears to follow your voice. This VoiceShare option is especially good for military fathers/husbands who are deployed during their wife’s pregnancy. Babies memories begin at 30 weeks. Allowing a baby in utero to hear soft music has many benefits. One of the many reasons why it is beneficial to play soft music is because when your baby is born, during anytime when they may be feeling stressed, you can play the same music you played while they were in the uterus. In most cases, they will recognize the music and immediately feel soothed. My experience with the BellyBuds has been awesome. Any question I had regarding whether they work or not, was thrown out of the window, when my baby started kicking more than ever. I have been playing Lindsay Sterling, and plan to play Lana Del Ray in the future. I also like that this is a green product. If you want to connect a little closer with your baby, I highly recommend the BellyBuds. 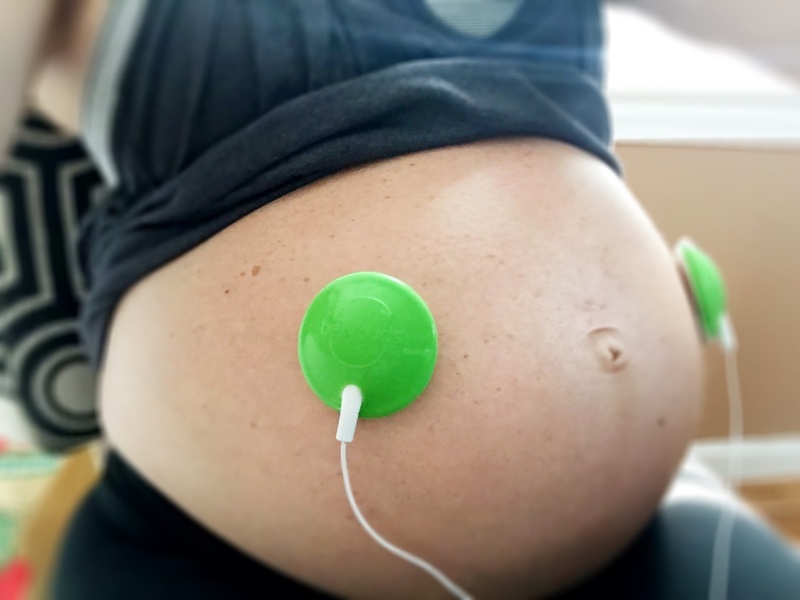 Has anyone used BellyBuds during their pregnancy? What was your experience?